This basic 1-week cabbage soup diet recipe is more of a jump-start than a long-term diet, though some people choose to stay on it for a few weeks. It begins with a few days of fruit, vegetables, and cabbage soup, with little or no protein. Then, bananas and skim milk are added. Later in the week, beef and rice are added. If you have any special health concerns or dietary restrictions or issues, you should speak to your healthcare professional first. 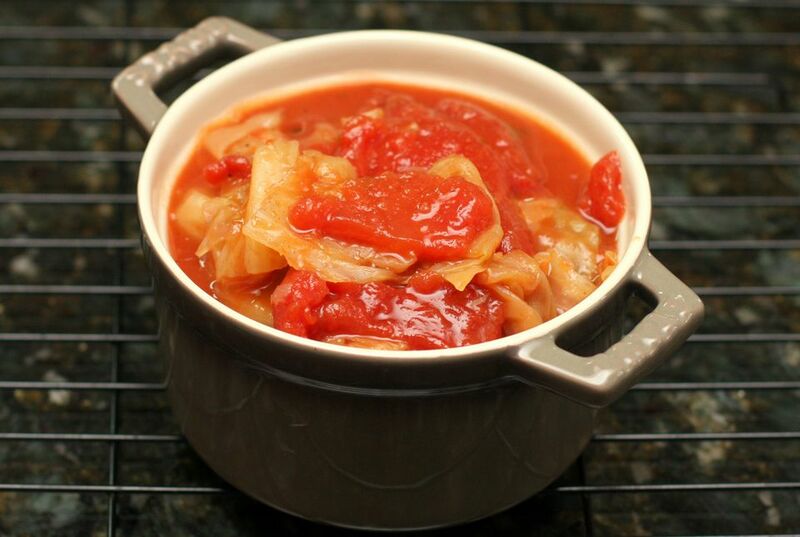 The basic cabbage soup is delicious, by the way, whether you follow the diet or not! Go ahead and make it with beans, ground meat, or chicken if you'd like. Take a look at the variations for more add-in ideas. Optional: parsley, curry powder, garlic powder, paprika, etc. Chop the green onions and bell peppers. Add the chopped vegetables to the slow cooker along with the tomatoes, celery, cabbage, onion soup mix, bouillon, if using, and V-8 or broth. Cover and cook on LOW for about 5 hours. Add the seasonings, to taste, and continue cooking for about 1 to 2 hours longer. Eat all the soup you want, whenever you want. No bread, alcohol, or carbonated beverages - not even diet soda! The soup is delicious and makes an excellent lunch soup. Add a pound of browned ground beef or ground turkey for a heartier soup. Zucchini or summer squash may be added to the soup. Add a can of drained great northern, navy, red, pinto, or black beans. Instead of bouillon, add 1 can of condensed (or double strength) beef broth or condensed French onion soup. Add 1/2 cup of diced or thinly sliced carrots. Garnish the soup with some diced cooked bacon. Add leftover diced ham or corned beef to the soup. Add 1 cup of chopped fresh spinach or kale to the soup mixture.